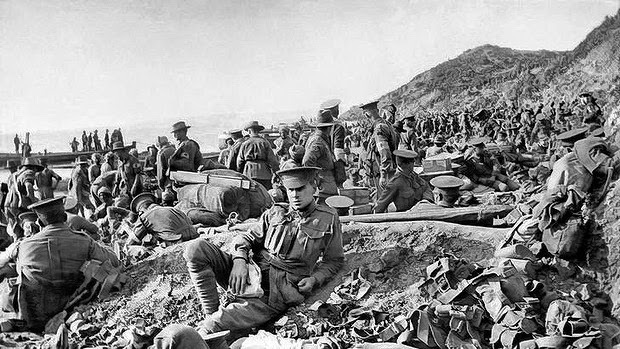 One hundred years ago today Allied troops began their invasion of the Gallipoli Peninsula with the aim of knocking the Turks out of the war and re-opening the Dardanelles Strait for Russia. 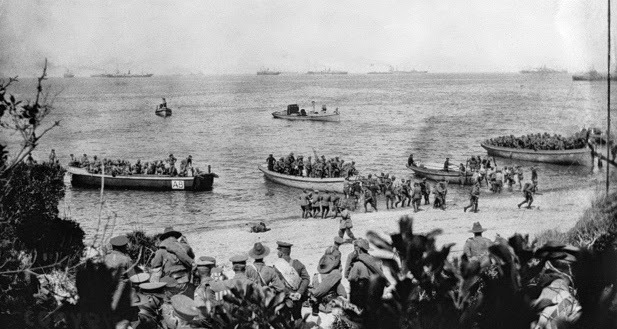 As part of the multi-national Allied force, the Anzacs landed on the western side of the peninsula at what became known as Anzac Cove. 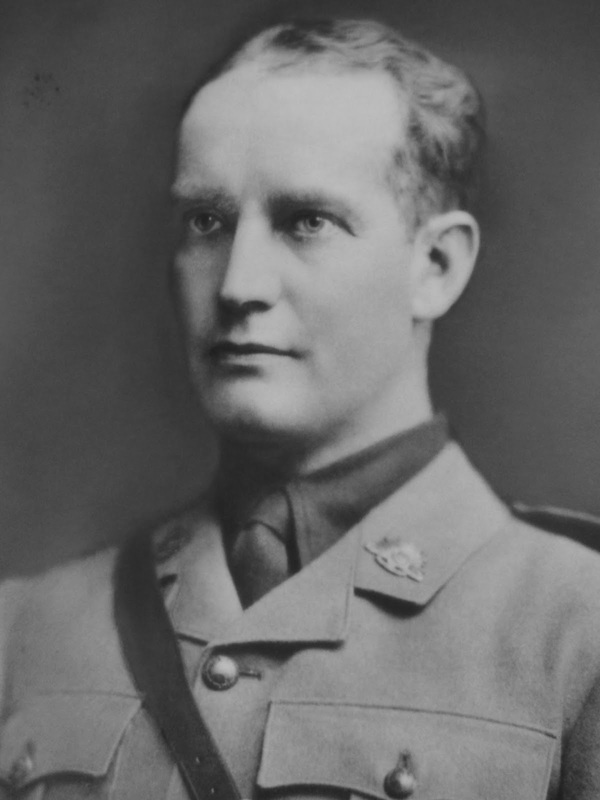 Major John Corbin, a surgeon in the 1st Australian Casualty Clearing Station, was witness to the dawn landing and by mid-morning was on the beach and operating on wounded soldiers in extreme conditions. Here are extracts from his diary for that day, April 25th 1915. The photos, all taken on the day, are from the online collection of the Australian War Memorial. Could not sleep. Stayed up, had breakfast at 2.30am. Gradually stole in towards the Gallipoli Peninsula. Sighted it at 3.30 in dim hazy light. 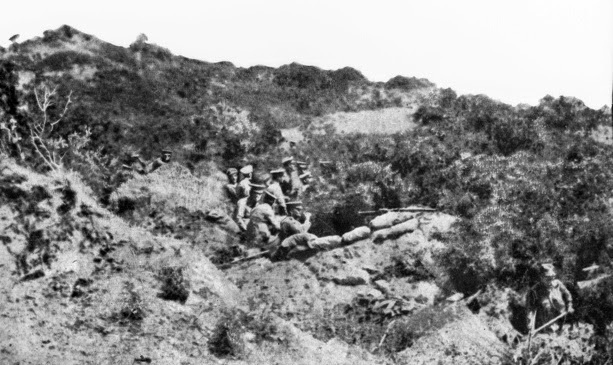 First big gun heard at 4.30, followed by several others and then rattle of musketry as the 3rd Brigade landed and started on their job of taking the first line of hills. The firing became almost continuous, the shore batteries firing shrapnel on the landing parties from point and the ships trying to silence them. We were stationary about 2 miles out and as the sun rose could see well the whole front and estimate the terrors of the landing. At about 5.30 a naval pinnace [ship's boat] came with a badly wounded man and a slight case. Got them up and the first, ABJ Hodgson, died in five minutes... Later a boat with one dead and 5 more or less seriously wounded came alongside and were treated by us. We cannot get a tow to land us yet, they are hurrying all the troops ashore as fast as destroyers, trawlers and boats towed by pinnaces can land them. We just hear, 7.40, that the worst battery enfilading the beach has been silenced. There will be hundreds of wounded and dead. We shall be busy. I hear the first attack by the 3rd Brigade has been successful. Certainly there is less opposition at the landing place. Itching to get ashore and get to more work. This has been a truly marvellous experience and one's feelings are interesting. The first shots made one wince, and each explosion sounded as if it were aimed at our ship. Soon as I had something to do the fact of a battle being in progress completely passed out of my mind and I can assure anyone that I did not consciously hear the shells. Landed at 10.30am, found as expected heaps of work - the beach a tangled mass of men heaving and straining to get more men, guns and ammunition ashore. Shrapnel firing all the while we were landing, and it was no pleasure to sit idly in a boat rowing that last 50 yards under fire. The first men landed did splendidly, gained two ridges but are (now) losing heavily and praying for reinforcements. Wounded pouring in, no chance of getting them off... They are being dressed and put on the beach, hundreds and hundreds of them dying, dead and wounded. All hands to work at a temporary station over which shrapnel is singing constantly. The ships are bombarding from the sea and the noise is deafening. The infantry on the ridges are firing continuously, maxims and rifles at it all the time. We hear the losses are terrific, no time for fear, much too busy. Began to evacuate at 5.30pm and got about 600 off before 8pm moonlight, and more later there must have been 1500 come for treatment. God knows how many dead and how many dressed and gone on fighting. The 12th are getting hell, also the 9th. The 10th have lost most of their officers. Then Admiral sent boats ashore with order for general retreat. No one seemed to know why. We packed all our wounded off and stood by, losing most of our personal gear in the business. Later... order countermanded by [General] Birdwood and we stayed. John Corbin was at Anzac Cove for four months, keeping a diary the whole time, then illness forced him to leave. I will post another article or two in the near future of his experiences at Anzac. The centenary of Gallipoli is here but many of us would not know that there was a Corbin among the Australians who landed at Anzac Cove on April 25th 1915. He was Dr John Corbin, one of the South Australian Corbins. He was a son of Thomas Wilson Corbin who migrated to Australia in 1865. John was born in 1878 in Adelaide. 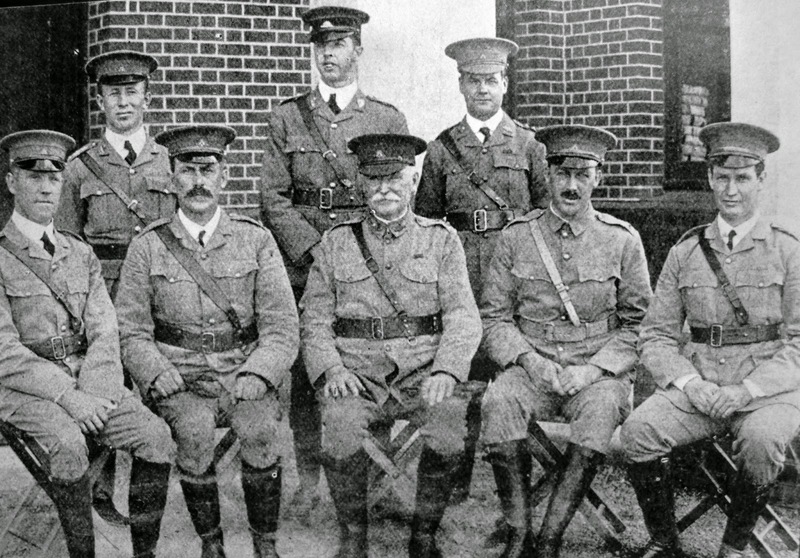 At the time of the Great War, at the age of 36, he left his practice as a surgeon in Adelaide to serve as a major in the Australian Army Medical Corps. Like many servicemen, John recorded his experiences in a personal diary. The first entry was dated December 5th 1914, noting his departure from Australia - 'Left Melbourne 6pm, SS Kyarra'. 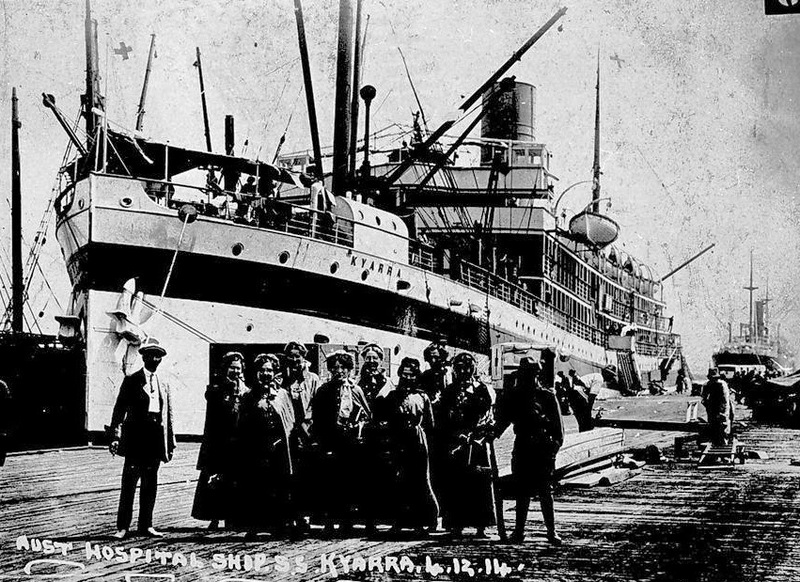 The Kyarra was a hospital ship used to transport medical units to the war. The battlefield destination, presumed to be in Europe, had not yet been decided. After passing through the Suez Canal, on January 14th 1915 they 'entered into Alexandria [in Egypt]. An enormous harbour packed with interned German vessels'. While encamped in various parts of Egypt, the troops drilled and the medical units prepared, but their first assignment was still unknown - 'We are stuck here waiting... London does not seem in any hurry to direct us'. With no wounded soldiers to worry about yet, the medical preparations sometimes seemed bizarre - 'The place fairly reeks of hospitals, permanent and temporary... they don't know what to do with them. Saw the Indian hospital today - 500 beds, no patients'. It seems that John was initially with the 1st Australian Stationary Hospital, a unit that would operate well back from the front line. He wanted a more forward position - 'Wish to goodness I could transfer to the clearing hospital. Giblin [the officer commanding] is so keen and smart and active'. He got his wish and was transferred to the 1st Australian Casualty Clearing Station, now he was to be working close to the troops and the battleground, wherever that may be. Eventually, late in February, the picture began to clarify. February 24th - 'The First Division at Mena have orders to move on Saturday. No one knows where to, but it seems either Syria or Europe'. February 26th - 'Rumours of work for us all in Syria or Dardanelles'. March 1st - 'Orders to prepare to leave at a minute's notice. Packed all night, took down all available tents'. March 3rd - 'Steamed off in SS Malda. 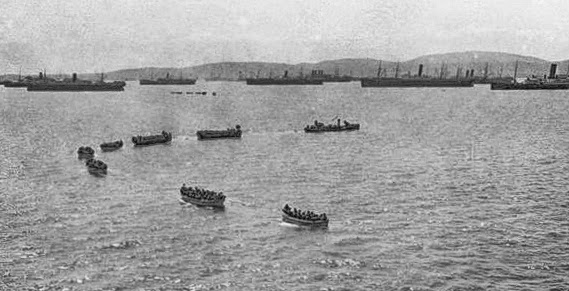 We are told we are going to Lemnos (then) to Gallipoli on the main land and from there I suppose follow the troops... we are going to be useful at last'. 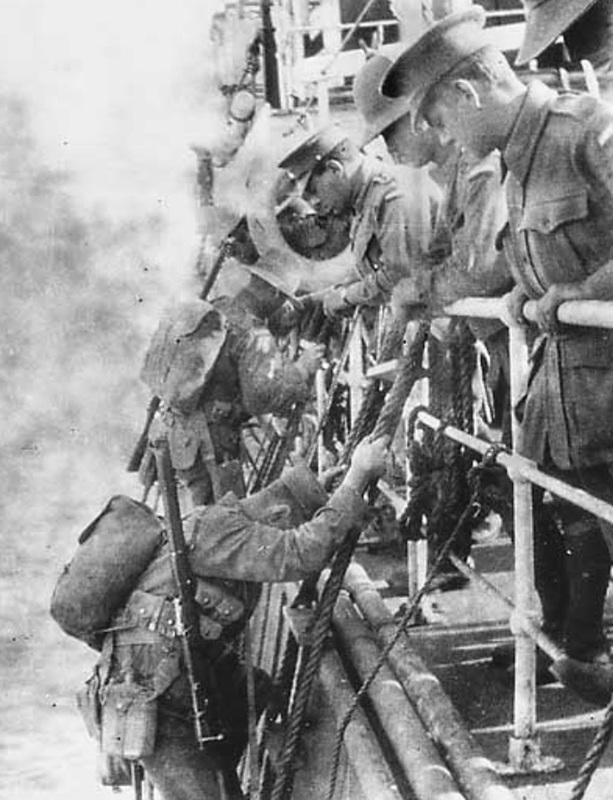 March 7th - 'Saw marines who tried to land on the peninsula at Gallipoli. They got cut up horribly'. 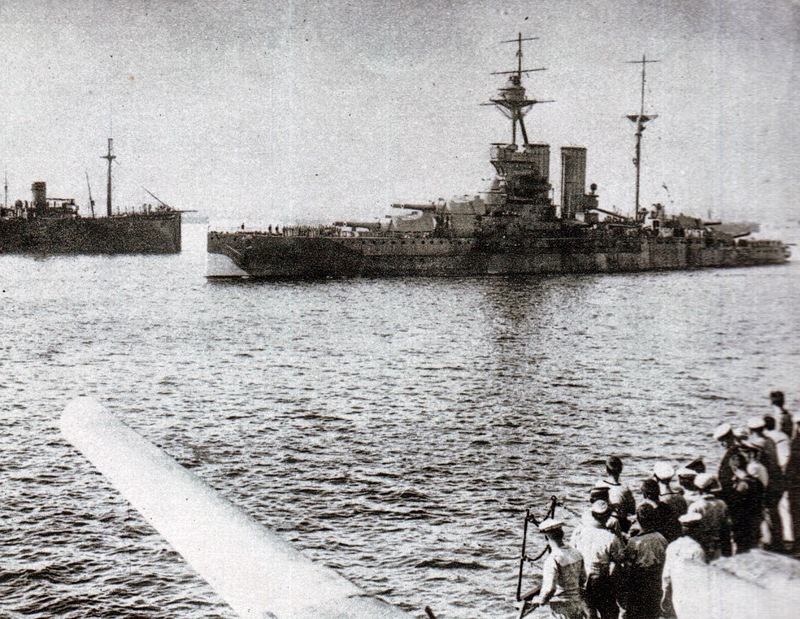 March 8th - 'Went to the battleship Lord Nelson that came from the Dardanelles this morning. She has been hit in several places by the guns from the Turkish fort'. March 10th - 'We shall probably need 100,000 men to be safe at all'. Got on board late in evening and found men housed in a sort of stinking black hole of Calcutta on lower deck... Ordered to act as ship's sanitary officer... made formal report to (officer commanding) saying that the whole ship was dirty and unsanitary, and making recommendations. Had a strenuous day instilling enthusiasm and thoroughness into boy officers and men. Finally got some cleanliness into troop decks. Young Owen Smyth says the password on the ship now is 'Look out here comes Major Corbin'. I became very unpopular at first but now it is nearly finished, and the men appreciate the difference, I am not regarded so fiercely. Today we received orders that we are to land 5 officers [doctors] and all our men in a day or two in the immediate wake of the landing... We shall have no tents and no accommodation to start with. We may be shelled all the way from the boats to the beach. If the troops make good their position, we shall land the rest of our men and stuff, and establish a proper clearing hospital. The whole job looks like being extremely dangerous and quite unlike any of our expectations... It is a strange feeling - all this waiting and preparation and apparent waste of time is to come to an end, and with a dramatic suddenness. I have the operation tent and sorting of cases committed to my care - a responsible job and one that will keep me so busy. Left (Lemnos) at 11am. Steamed out with pipers band playing cheerily at my suggestion, through the remaining ships and round to a rendezvous... We are to be fed (tomorrow) at 3.30am, start landing at 5am and should all be ashore or sunk by 8 o'clock... We are on the verge of a very big undertaking, how big no one can estimate. Messages have been read [to the troops] from the King and Kitchener... saying that the eyes of the world are upon their doings and that they are asked to take positions claimed by the enemy to be impregnable. It is strange and interesting to be in the midst of it and to notice the bearing of the officers and men. The latter do not for a minute grasp fully the desperate work ahead of them. They are for the most part as unconcerned as if on a pleasure trip... the officers for the most part the same, the senior ones a little quieter perhaps. My thanks to Stephen & Jane Gow of Armidale NSW for contacting me through my website and for providing much of the material in this article, especially the diary. The original diary was donated to the Australian War Memorial, however there is no digital copy online at this stage. Jane Gow (nee Bromley) is a granddaughter of Dr John Corbin. Tomorrow, the 100th Anzac Day, I will post some more quotes from the diary.